Who loves the flavor of peanuts and chocolate together and who also needs to add more veggies into their diet!?! I do and my guess is that you do, too! This delicious Healthy Stealthy Shake fits the bill for both! 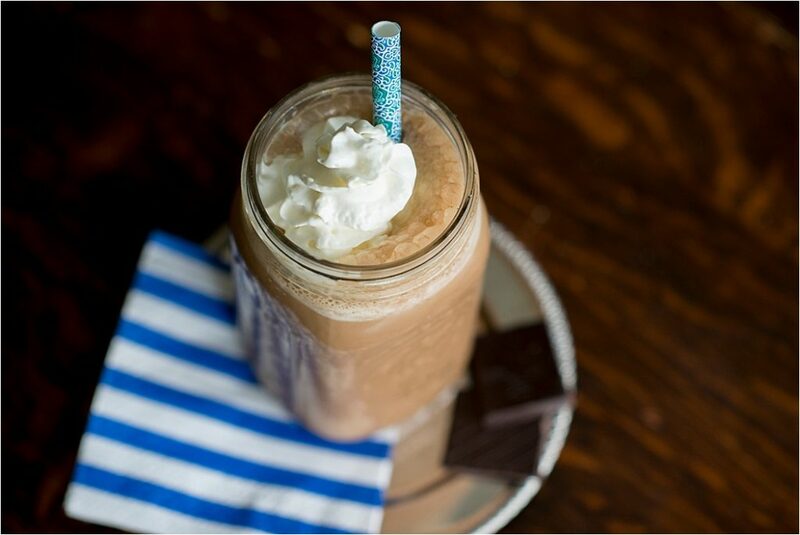 It has all the peanutty chocolate goodness with the added benefit of the secret stealthy ingredient that makes this shake so healthy! I had four friends taste test this for me while I was developing the recipe and no-one could detect the secret stealthy veggie that I used and they all liked the shake! This shake is also great for kids–they will never know that they are consuming yellow squash or zucchini in this drink (TRUST me on this one–I promise you won’t be able to detect the squash in this shake)! I actually like to throw in a handful of spinach as well, but that is optional. Sometimes I add a whole squash when I am making mine, however I recommend that you start by making this as written in the recipe the first time then work yourself up to more veggies added later. If you want to make a full fat version of this recipe you can use 2 Tablespoons of natural peanut butter (my favorite brands are Laura Scudder’s or Smucker’s), but I usually like to just make mine with Defatted Peanut Flour so that I can keep this as a low calorie snack or meal option. 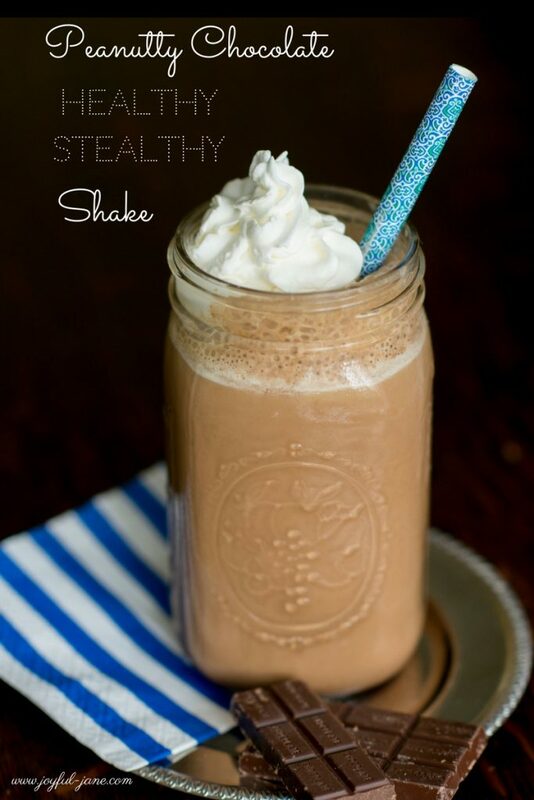 This Peanutty Chocolate Healthy Stealthy Shake is the second one in my new series of “Healthy Stealthy Shakes”. In case you missed the first one I posted you can check it out here on my Strawberry Healthy Stealthy Shake recipe. Add all ingredients to a blender then blend well for several minutes until smooth and creamy. Enjoy! Note-if you want to garnish it with whipped cream as shown in the picture, you may use 1 cap full amount of FF Reddiwhip for an FP recipe or you may use homemade whipped cream sweetened with Gentle Sweet and vanilla for an S version (see my recipe for the whipped cream on my Rich Chocolate Cups post). Top with chopped 85% chocolate for garnish if you like as well. That sounds really good! I really like peanut butter and chocolate together. YUM! This is amazing! Love how creamy and good it is. Thanks for another great recipe. This is an amazing shake! Thanks so much for posting this creamy goodness! This sounds amazing!!! Can this be made without protein powder? It might not be quite as creamy, but I think it would probably be fine to leave out the protein powder.